​. Van Diemen is cold molded, with a carbon/balsa deck, and carbon rig. 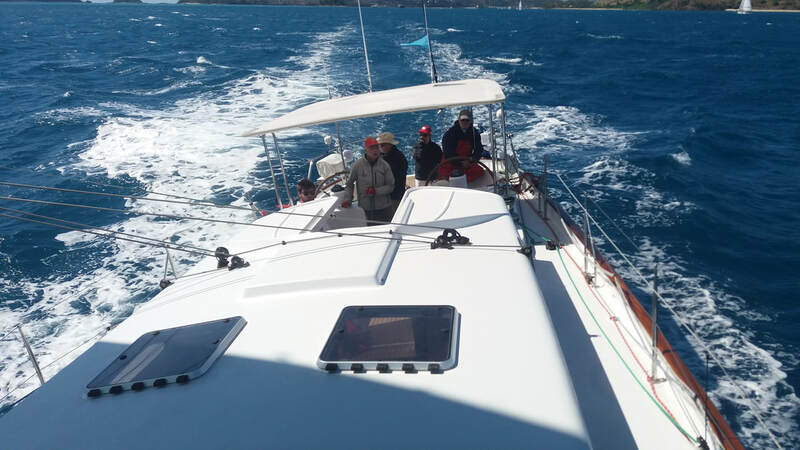 This boat has surpassed all expectations as a racer and cruiser, finishing first at 2008 Hamilton Island Race Week, third HIRW 2018. 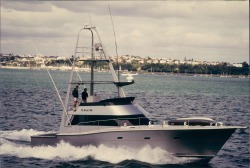 Loxleigh,is a 50' Bill Upfold Elite design. A composite build of plywood, and fibreglass. Loxleigh was launched at Waipapa Landing 2018. Robert and Dave, Skipper and crew/ builder. Razzel has proved to be an excellent family boat. 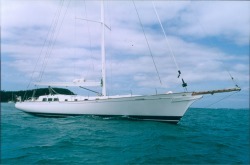 She is easy to sail, roomy, safe cockpit and easy access for the young and more mature. Plenty of room for the toys- we took 2 bikes, a 3.1 meter dingy with 15 hp outboard, and two kayaks to the South Island. We have enjoyed fast safe passages. 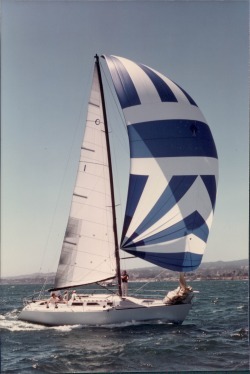 Razzel is a competitive race boat. She has repeatedly finished in the first 15 boats in the coastal Classic. She is avidly raced in the local club calendar and won the winter series 2009. Max has a duracore hull. Foam cored bulkheads and deck structure. 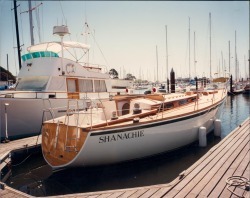 After 20 years Dave remodelled Shanachie’s stern for the original owners, adding on 3’ to incude a scoop. Built in California Schanachie has cruised extensively. 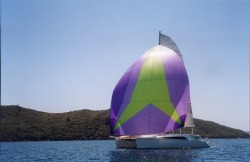 Her home port is now Opua in the Bay of Islands. 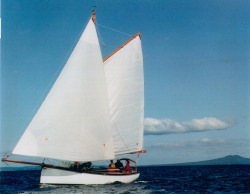 Built when Dave Blair was foreman at Robertson Bros.
Lark has sailed to California and back and presently lays in her home port of the Mahurangi, near Warkworth. ‘Lark’ was a challenging project, as she was to be a sister ship to the well known ‘Curlew’. The owners had taken a set of line drawings off ‘Curlew’ when their cruising paths crossed some years before. Building a dream for such interesting people was a daunting and an intensely rewarding challenge. The project encompassed lofting the boat to building the spars and patterns for the 40 bronze fittings. 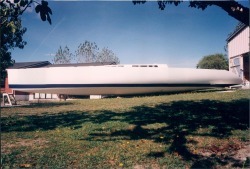 Dave Blair did the tooling for the moulds for this production boat. The factory could produce one boat every 14 working days. The class was successful and still race in San Francisco Bay.